A free-standing, snow-covered dormant volcano, Kilimanjaro is the highest mountain in Africa, located in northeast Tanzania. 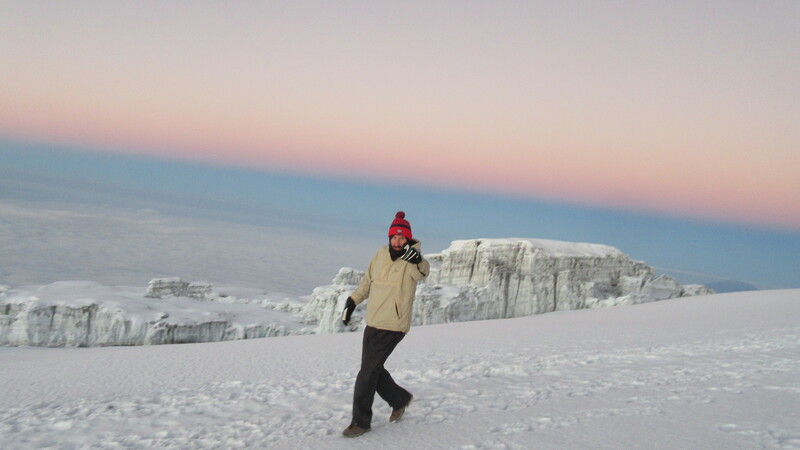 African DMC, has formulated this special itinerary to make your dreams of trekking Kilimanjaro come true. On this tour, you will you step on the highest point of Africa. Machame route, known as the “Whiskey” route, is the most popular route to the top. You will have a professional English-speaking guide, good equipment, and tents. Upon your arrival, our professional guide driver will meet you at Kilimanjaro International Airport and drive you to Mount Meru hotel which is about 50 kilometers, almost 45-50 minutes away. There you will have a trip overview and enjoy an overnight stay. Spend some time preparing for tomorrow’s trekking trip. Today you will be waking up early in the morning and have a delicious breakfast at Mount Meru hotel. After that, the driver will take you and our professional English-speaking mountain guide to Machame Gate for registration. Machame Gate is roughly 79 kilometers from Arusha, barely 2 hours. After registering at the gate office, you start your ascent and enter the rain forest almost immediately. You will have a welcome lunch stop about halfway and will reach the Machame Camp (3020m) in the late afternoon. Your porters (arriving at the camp site long before you) will have erected your tent on arrival. Dinner and overnight stay are at Machame Camp. You will be hiking 11 kilometers through Montane forest. Rise up early in the morning at Machame Camp and have a delicious breakfast prepared by our professional chef. After breakfast, the guide will lead you ascending toward Shira Camp. For 2 hours you will go through a gentle gradient through the moorland zone. After a short lunch and rest, you will continue up a rocky ridge onto the Shira plateau. By now you will be able to see in an easterly direction. The Western Breach has stunning glaciers. You are now due west of Kibo and after a short hike, you will reach the Shira Campsite at 3847m. The porters will once again supply you with a small bowl of washing water, before serving dinner. Today you will be hiking 5.3 kilometers through moorland. Proceeding with trekking. Today you will rise up early in the morning as usual and have a delicious breakfast. Then after, the guide and porters will lead you to Burranco through Lover Tower. The route now turns East into a semi desert and rocky landscape surrounding Lava Tower, where you reach an altitude of 4642m after about a 5-hour trek. Lunch is served at a designated area. After reaching the high altitude of 4600m at Lava Tower, the true acclimatization benefit of this day becomes clear. This descent to Barranco Camp takes about 2 hours and offers great opportunities to take some beautiful photographs of the Western Breach and Breach Wall. Enjoy dinner and overnight at Burranco Camp. You will hike 10.8 kilometers through the alpine desert. Today you will wake up in the morning, and after breakfast, continue ascending from Burranco Camp to Barafu Camp and have a rest for a summit attempt. The route then heads down through the Karanga Valley over intervening ridges and valleys and then joins up with the Mweka Route. This is the preferred route down from the summit, so remember it. Turn left up the ridge and after another hour or so, you should reach Barafu Hut. The summit is now a further 1214m higher and you will commence with your final ascent attempt the same night. Prepare your equipment, hiking poles, and thermal clothing for your summit attempt. This should include the replacement of your headlamp and camera batteries and make sure you have a spare set available as well. To prevent freezing it will be wise to carry your water in a thermal flask. Go to bed at around 19:00 pm and try to get some precious rest and sleep. Hiking time is 8 hours. The distance is barely 9.6 kilometers and the habitat is the Alpine desert. On this day, you will wake up late at night and start to ascend towards Africa’s highest point, the summit of Mount Kilimanjaro. Ascend through heavy scree towards Stella Point on the crater rim. For many climbers, the 6-hour walk to Stella point is mentally and physically the most challenging on the route. At Stella Point (5739m) you will stop for a short rest and will be rewarded with the most magnificent sunrise you are ever likely to see (weather permitting). From Stella Point, you will normally encounter snow all the way on your 2-hour ascent to Uhuru Peak. The time you will spend on the summit will depend on the weather conditions. The walk back to Barafu from the summit takes about 3 hours. Here you will have a well earned but short rest and collect the rest of your gear, before heading down to Mweka Hut (3090m). Hiking time is about 7-8 hours and is 10.5 kilometers of glacier. In this last day at Mount Kilimanjaro, you will rise in the morning and enjoy breakfast at Mweka Camp, then start descending to Mweka Gate. It is a short 4 to 6 hours and scenic hike back to the Park Gate. Some hikers do experience knee problems which could make the descent longer than planned. It is strongly recommended not to pay your porters any tips until you and all your gear have reached the gate safely. At Mweka Gate, you sign your name and details in a register. This is also where successful climbers receive their summit certificates. Those climbers who reached Stella Point (5739m) are issued with green certificates and those who reached Uhuru Peak (5895m) receive gold certificates. At the gate, you will be picked up by our guide driver to the hotel for refreshment and congratulation.